The Italian Specialty Basket contains olive oil, balsamic vinegar, artichokes with stems, and Italian chocolates and cookies. The Craft Beer Basket includes six beers, two beer glasses, a bottle opener, box of pretzels and chocolate. The Tea Basket includes assorted teas, teacups and saucers, a teapot, scone mix, and muffin mix. The Coffee Basket includes coffee, a coffee press, cookies, chocolate and coffee cups. The Snacks Basket includes root beer, cream soda, black cherry soda, candies, popcorn and cotton candy. Plus, each gift basket includes a gift card to Vincent’s, so stop by the store to pick one up today! P.S. 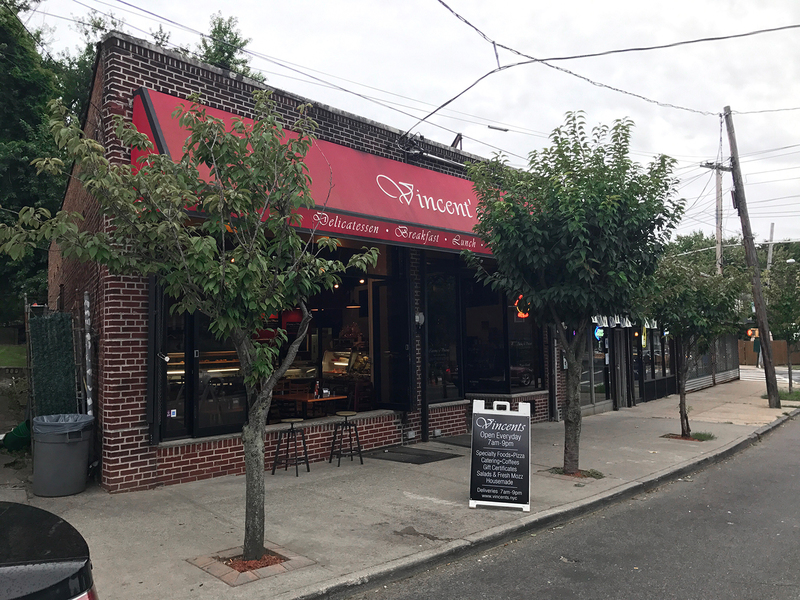 While you’re at it, check out Vincents’ Staten Island Breakfast Catering options, now featuring Acai Bowls and Yogurt options! Staten Island’s luvnix specializes in handmade, natural products and is best known for its felt soaps. Their quirky, luxurious and affordable items are the perfect gift for that special co-worker, babysitter, stylist, or anyone who makes your daily life run a bit smoother. The Little Lady Blue founder is a Staten Island native who makes handmade jewelry specializing in bracelets. Her gorgeous and sophisticated pieces are chic accessories for your most stylish friend or family member. A.F. Bennett Salon and Wellness Spa in New Dorp is worth the splurge. Its calm and tranquil atmosphere transports you miles away from busy Staten Island. Its different gift packages have the perfect way to help someone relax and melt the stress away. A. F. Bennett Signature Package includes a private herbal steam shower, massage, facial, manicure, and pedicure. Relaxation (For Him) Package includes a private herbal steam shower, massage and sport manicure. Bliss Package includes a facial, manicure, pedicure, massage and makeover. A membership to the Staten Island Children’s Museum is the perfect gift for your favorite family. Located on the grounds of Snug Harbor Cultural Center and Botanical Gardens, the museum offers programming that emphasizes authentic, hands-on experiences.